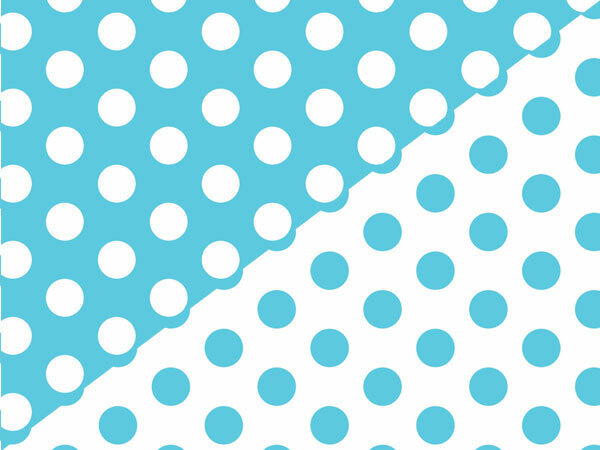 Turquoise Blue Polka Dot gift wrap paper has white dots on a turquoise background on one side and turquoise dots on a white background on the reverse. Design is part of the Green Way® brand. Gift wrap is printed on recycled paper or paper sourced from well managed forests. Bulk wrapping paper roll measure 24"x85' and wraps on average 70 gifts. Made in the USA.